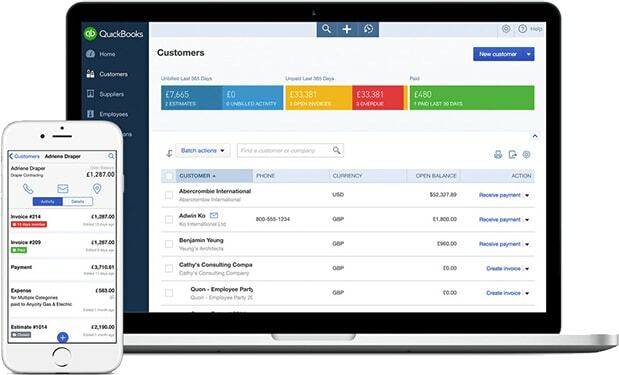 Quickbooks, the leading cloud accounting software in the United States, seamlessly integrates with LEAP. The powerful combination allows you to access your legal and office accounting from anywhere in the world with Internet access. How does QuickBooks work with LEAP? QuickBooks links and operates with LEAP in the cloud. A number of Journals are created in LEAP and exported to QuickBooks. There is an audit trail of every transaction, and you can quickly and easily check to ensure that all journal entries have been made. QuickBooks account codes are set up when LEAP is installed and after that, the combined products do not create any extra work at all. Access back office accounting anywhere: As a cloud product, QuickBooks is accessible from any browser or mobile phone. Reduce external costs: Since it is incredibly easy for your external accountants to access and check your data, you can significantly reduce your external accounting costs. Maintain confidentiality: Only you and your external bookkeeper need access to your general ledger, so your information is secure and your legal staff can focus on the legal work of the firm. Would you like to learn more about how LEAP can help your law firm make more money? Fill out your information below, and a product consultant will be in touch with you shortly.